Coinciding with the 30th anniversary of the first Citizen Band regulations in Spain, the weekend of August 2, 3 and 4, 2013, the following SES will be on air: AM1CB, AM2CB, AM3CB, AM4CB, AM5CB, AM6CB, AM7CB, AM8CB and AM9CB, that may be found in any mode and band of amateur radio, as a tribute from all those who were initiated in the 11 meters band. QSL card and Award will be available. The contact is also valid for the Radio Clubs of the World Award, EANET. On August 2, 1983 came into force the first regulations of CB that contemplated its original sense: personal communications. Many of the current radio amateurs started their hobby in the Citizens Band, it is right that now they want to honor and remember those old times of learning, fun and youth, through the ham bands, as it is done with other events, such as Europe Day "on the air", from which this activation has taken its procedures. Therefore, you can participate by simply contacting special stations mentioned or starring your own stellar radio moment. If you settle for the former, you will find on the air, throughout the weekend, these special stations using the different bands and more common modes (phony, CW, digital, etc.). A good way to locate them is through DX Cluster and/or also consulting the agenda of the activity. Members of FEDI-EA and/or EURAO: it is enough to request the QSL card on the website of EuroBureauQSL using the option "QSL Request", indicating in Manager: EA4RKR. It is not necessary to send your own QSL. This is an initiative of the federations: Liga Española de Asociaciones C.B. y Radioaficionados, Federació Catalana de C.B. 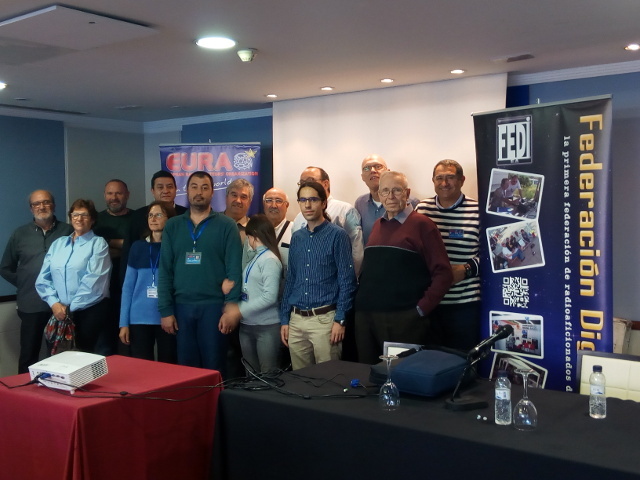 27 MHz and Federación Digital EA, which are grateful for the promotion and collaboration of many associations and individuals in this celebration.